Can groups who lobby for less immigration reject Trump’s proposals, while endorsing his goals? Muslim immigrants for just a small fraction of the immigrant population served by immigration groups and a smaller sliver of the 11 million immigrants in the country illegally who find themselves on the margins and in need of advocacy. But even immigrant groups focused on Latino and Asian immigrants have gone out of their way to attack opponents of muslim immigration, condemning Donald Trump first for his suggestion to monitor Muslims, and later to ban them from entering the country for almost any reason. Trump clarified his proposal on Tuesday, saying that his travel ban wouldn’t apply to U.S. citizens or active soldiers. Despite his half-step back making his proposed program arguably legal, the measure remains absurd in the eyes of Latino and immigration advocates. Pro-immigrant groups recycled much of their existing rhetoric (“contributions” of immigrants vs. “hate speech” of anti-immigrant politicians)to connect his targets to their clients, anti-immigration groups tried to use Trump as a launching point, rejecting his specific proposal and trying to pivot to their own. Trump isn’t getting condemnation from anti-immigrant groups, but more of a collegial rejection of the details on his plan. CIS director Mark Krikorian wrote in an op-ed in the National Journal, which started by rejecting Trump’s religious test. “Whether you believe that Mohammed flew to heaven on the back of his horse is no more anyone else’s business than whether you believe in the virgin birth or the transmigration of souls,” he said. Despite dismissing Trump’s proposal, Krikorian seeks the same outcome -- less Muslims -- for pretty much the same reasons -- suspected overuse of terrorism (and welfare, not mentioned here). “We need to cut Muslim immigration. But limiting the cuts to Muslim-majority countries would exclude Christians and other non-Muslims [...] So alongside ideological screening we need to cut immigration overall, focusing on the categories most likely to cause problems,” Krikorian wrote, pointing to lottery visas and family-based immigration visas. In their responses to Trump’s transparently inciteful and discriminatory proposal, anti-immigration groups proposed ways to “smooth out” Trump’s plan. One important difference not noted above: FIRM and CIS support non-immigrant visas for business travelers, while Trump does not. “Encouraging hatred towards Muslims and Immigrants in order to bolster his position and continue to build support for his campaign is un-American, said Kica Matos, a spokesperson for the Fair Immigration Reform Movement (FIRM) “Trump’s call to ban Muslims from entering the United States is reckless, disturbing, reprehensive, and a dangerous display of hateful political posturing that without doubt, may have very alarming consequences and lead to violence against Muslims. Though few of their leaders are Muslims, pro-immigration groups seem to be taking these propositions personally, countering with strongly-worded attacks. It's a show of solidarity that marks a different tone from that of anti-immigration groups. ACLU Executive Director Anthony D. Romero similarly called Trump’s plan “un-American,” as opposed to FIRM's softly worded statement. 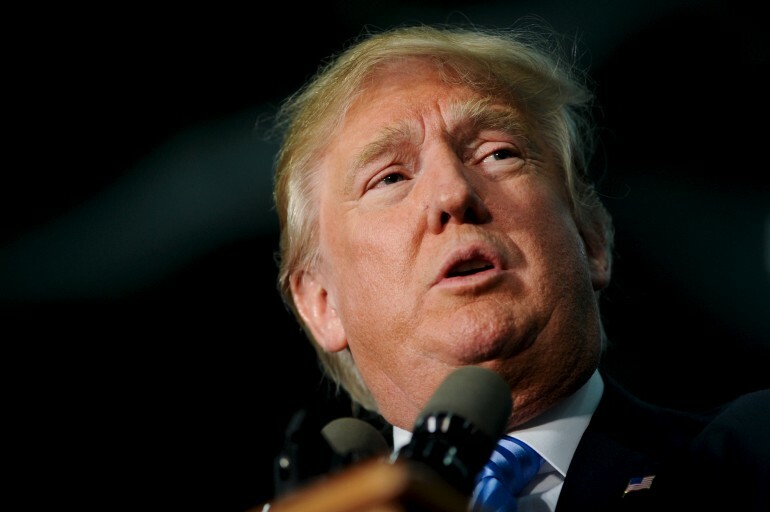 Donald Trump hasn’t exactly united these immigration groups. They still disagree on what’s right for the country and if immigrants should be welcomed in America or barred from entry. But Trump’s latest stunt may have shown that there’s a ring around Washington where few aside from Trump supporters like Ann Coulter and Neo-Nazis really do not want to go.